This is one of my favorite verses that expresses the goodness of the Lord to His creation. The Gospel is the reason for and motivation behind my work in healthcare. The Lord and His Gospel or “Good News” are even better than we have imagined. He wants us to “taste” or experience the fullness of His goodness. Those who know me are familiar with my “peach story” that expresses this fact. I have a peach tree that produces a bountiful harvest of flavorful, organic peaches which I use as an object lesson. 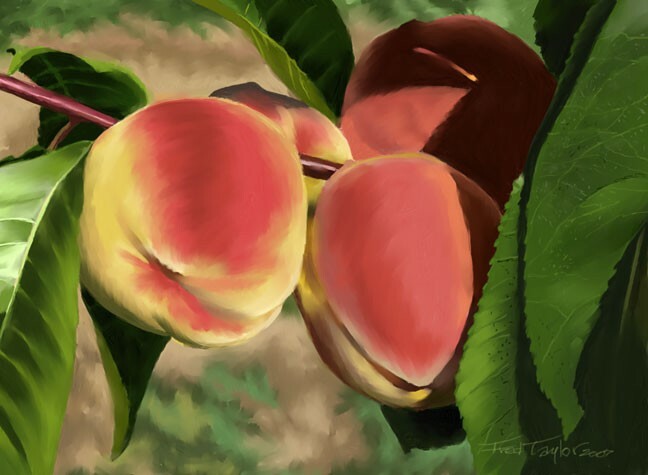 If you were attempting to describe a peach to someone who had never heard of or tasted a peach, you would begin by talking about its characteristics; what it looks like, feels like and how it tastes. You would talk of its sweet, juicy flavor, the texture, its health benefits and why it is that you like peaches. You may take a bite and let the golden, syrupy peach liquid tantalize your palate as it slides down your throat and dribbles down your chin. Now the listener knows something about peaches and is enticed to taste for himself. However, all of your decriptions and illustrations do not give the listener his own personal experience with peaches. Each individual must taste and see for themselves that peaches are good. Once the listener gains personal knowledge through experience, he will share that with others, enticing them to taste. So it is with our knowledge and relationship with our Creator. The Lord is inviting us to “taste” of His character of Love and allow Him to pour out His blessings on us that we may savor them and draw others to Him. The Lord is interested in our health and has given us abundant information on how it may be attained and maintained. Hippocrates (450-350 BC) known as “the father of medicine,” said, “Let food be your medicine and medicine be your food.” I have long believed that through healthful nutrition and lifestyle, multitudes of diseases can be prevented, overall health significantly improved and some illness cured. As a registered nurse, living and working in northeast Connecticut, I provide information and instruction on healthful nutrition and lifestyle with special emphasis on celiac disease and diabetes.